I’m not the biggest golf fan. I’m not sure why, but I think it might go back to my first golf experience, which was in 5th grade. We were allowed to choose an elective class, and I wasn’t particularly athletic so when I saw golf as on option I thought, “sure, walk around, hit a little, white ball, walk some more, that sounds like the sport for me.” I signed up and was actually looking forward to it. On the first week we went over the rules, which, at time, seemed endless complicated and boring. I kept thinking how much better things would be the second week when we got to actually golf. I was wrong. I hated it. I couldn’t hold the clubs correctly, swinging over and over was really hard and I couldn’t even hit the ball, let alone make it go where I wanted it to. I begged the teacher to let me into other class. She finally caved and I spent the rest of the semester reading books to first graders. Not much better, but slightly. Though I still haven’t embraced the sport of golf, I can at the very least get behind the lemony, tea drink with the namesake of legendary golfer Arnold Palmer. So here’s the story, Arnold Palmer (7 time Major Champion Winner) was at a California restaurant and ordered an ice tea and a lemonade. Palmer mixed the two drinks together and started to enjoy. A woman at an adjacent table (who may have been a stalker, but at the very least was a blatant eavesdropper) noticed the golfer mixing his drink and said “I want a Palmer” and that was it. Shortly after restaurants and golf courses started serving the Arnold Palmer giving the world an alcohol-free alternative to the Shirley Temple. I really love Arnold Palmers, but I also really love alcohol (on occasion, I’m not a lush), so combining the two could only make a drink exponentially better. 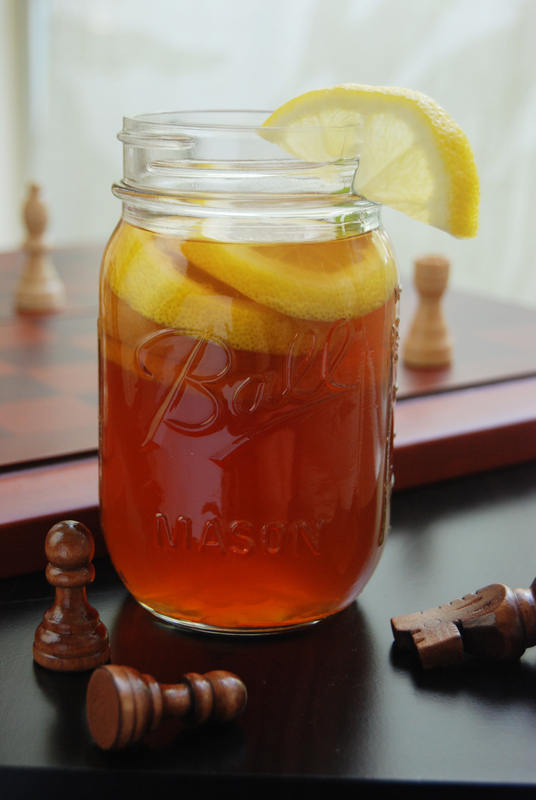 A typical Adult Arnold Palmer is simply ice tea, lemonade, and a shot of vodka, but personally I think that is a lazy route. Instead here is an excellent recipe, from New York City chef Elijah Belanger, for an alcoholic version of an Arnold Palmer using bourbon. And it is dangerously yummy. Several friends and I were tasked with taste-testing this drink and let me say it made for a very fun evening. Be Responsible: Don’t Drink and Drive. Muddle mint with lemon juice in a mixing glass.Add bourbon, brown sugar simple syrup, and ice tea to mixing glass and shake with ice. 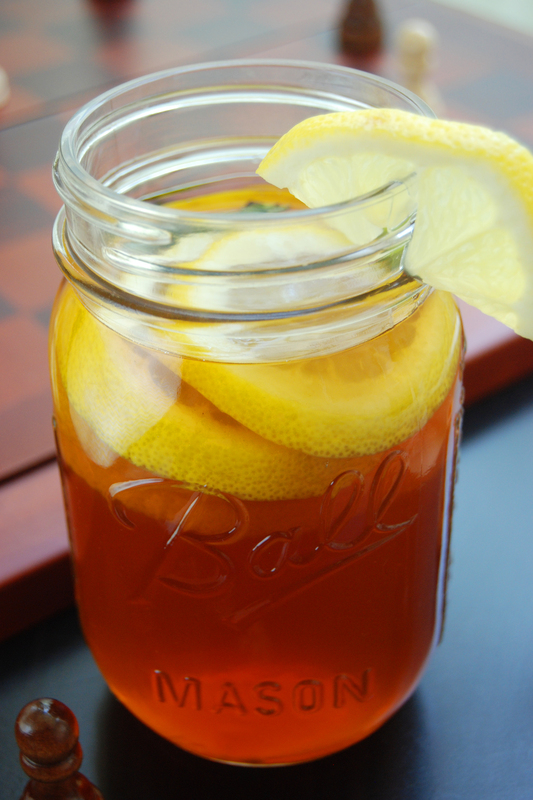 Pour into mason jar (for that quaint summery feel). 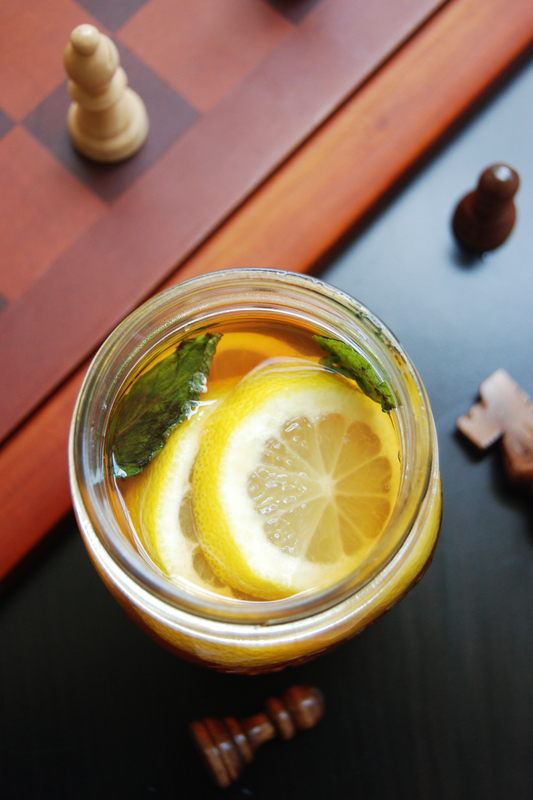 Garnish with mint sprig and lemon wheels. 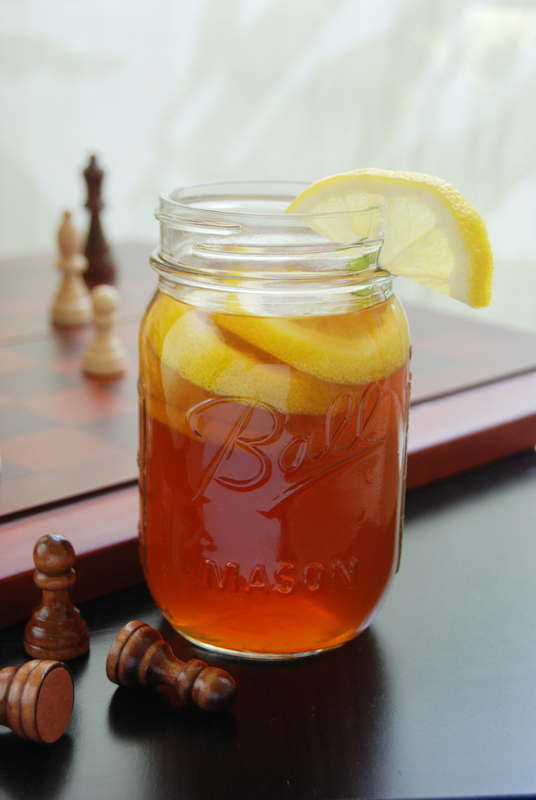 Categories: Recipe | Tags: adult arnold palmer, arnold palmer, bourbon, ice tea, lemonade, recipe, summer drink, thejealouscrumpet, Violet Henri | Permalink.